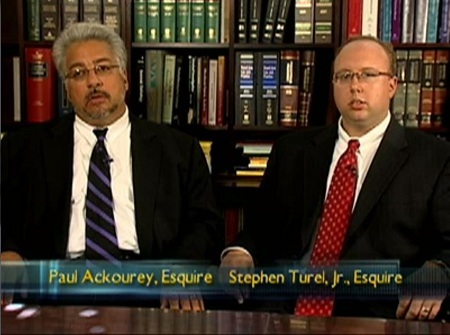 With over thirty years of combined criminal law experience, the attorneys at The Law Offices of Ackourey & Turel, P.C. have aggressively represented thousands of individuals in all types of criminal cases ranging from DUI and Homicide cases in counties throughout Northeastern Pennsylvania and the Federal Courts. We are recognized as one of the most experienced, knowledgeable, and aggressive criminal law firms in Northeastern Pennsylvania. Every case handled by The Law Offices of Ackourey & Turel, P.C. receives individualized and personal attention with the goal of obtaining the best possible result for our clients. With well over 100 jury trials and countless court appearances, you would be hard pressed to find a more experienced criminal law firm in Northeastern Pennsylvania. Our lawyere are members of the National Association of Criminal Defense Lawyers and the Pennsylvania Criminal Defense Lawyers Associations, organizations dedicated to the defense of the accused. You can be assured that our firm will fight to protect your rights and your freedom. If you have been arrested or the police want to question you, contact our office at 570-342-4242 or 570-836-3600 and schedule a Free Consultation with an attorney from our firm. If necessary, we will visit your loved one for a Free Consultation at a local prison. You may also contact us via email using the form on the right. We maintain offices conveniently located in Scranton and Tunkhannock Pennsylvania.